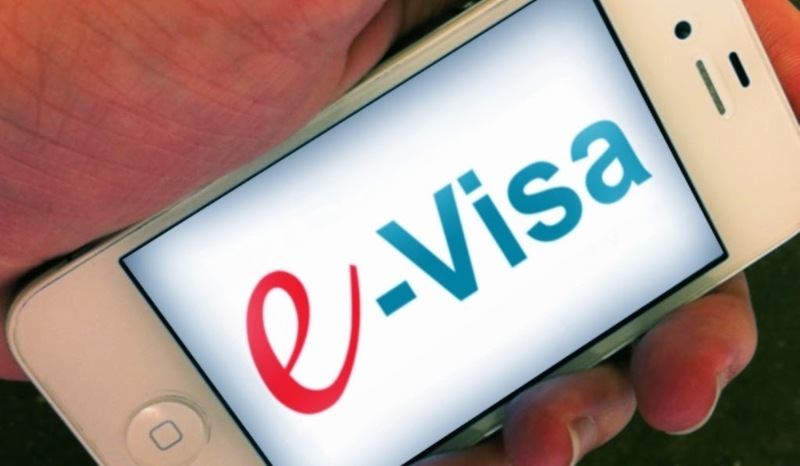 The Ministry of Home Affairs has decided to change the name of the scheme ‘Tourist Visa on Arrival-Electronic Travel Authorization’ to ‘e-Tourist Visa’ (eTV) from tomorrow (April 15, 2015). The extension of the scheme to more countries and airports will be in a phased manner, in order to avoid any confusion. (i) The limit of shrivelled and broken grains is relaxed upto 9% against the existing limit of 6% under uniform specifications with half value cut imposed in such a manner that for every relaxation of 2% or part thereof, one full value cut @ Rs. 14.50 per quintal will be applied. (ii) Lustre lost wheat containing up to 10% affected kernels may be purchased without value cut. (ii) Lustre lost wheat containing more than 10% and up to 50% affected kernels may be purchased with 1/4th of one full value cut on flat basis @ Rs. 3.63 per quintal. In a unique initiative, the Sahitya Akademi of the Union Ministry of Culture organized a seminar of prominent Dalit writers and thinkers in New Delhi today. The seminar was organized on the occasion of 124th Birth Anniversary today of Bharat Ratna Dr Bhimrao Ramji Ambedkar, also the principal architect of the Indian Constitution. Shri Laxman Gaikwad, Shri Vijay Surwade, Sh J V Pawar, Prof Namdeo Kamble, Shri Arjun Dangle, Shri Girish Prabhune, Shri Ishwar Nandapure, Shri Madhu Peraje, Shri Ravindra Gole, Prof A Shanmukha, Prof K Enoch, Dr Sharankumar Limbale snd Sh RN Joe D’Cruz were among the noted scholars who attended the meet. The meeting was also attended by Dr Vinay Sahasrabuddhe , National vice-President of BJP and Dr Satya Narayan Jatiya, Member of Parliament. Dr. Vinay Sahasrabuddhe delivered the message of Union Culture Minister, Dr Mahesh Sharma and expressed his regrets for inability to attend the meeting. In his message, Dr Sharma requested all the honored participants to freely share their ideas and suggestions which can be further considered for the betterment and empowerment of Dalit people through the Ministry of Culture. The Culture Minister , Dr Mahesh Sharma, in his message, emphasized that the Dalit literature is a very powerful stream in literature. It is a literature of pain, suffering and agony. But we should expand it further to literature of aspiration since the community has moved forward economically , and innumerable examples of Dalits who have made strides in life are now available, he said. We still need to go beyond this and focus on literature of integration which deals with social integration with the society as a whole, the Minister added. Dr Mahesh Sharma explained that this can be further achieved by sensitizing the younger generation by including this literature in text books. The participants greatly welcomed and felt honoured by the first of its kind interaction organized by the Sahitya Akademi and hoped that such events will continue to be given prominence in the future too. Most of the scholars were of the view that Dalit literature , which is now being taught in several foreign countries, must be given place in textbooks in schools in India . The esteemed writers also opined that this literature should also be given more exposure to the world community by translating the works into foreign languages. Other ideas generated during the discussion included emphasis on writings on Dalit women, promoting works of upcoming Dalit writers, giving prominence to aspirational literature, promoting scientific research on concepts like untouchability and other aspects of Dalit life. There was also a demand for translating outstanding works of Dalit Literature into various Indian languages, protecting minor languages associated with Dalits, among others. Dr. Vinay Sahasrabuddhe appreciated the suggestions of the participants and requested them to partner with the government to take forward the ideas generated at the seminar. Dr Satyanarayan Jatiya said that literature contains a discourse on humanity and gives power to society. It is literature which has the power to cure ills of the society, and the seminar by the Sahitya Akademi is one such effort in this direction, he added. The Sahitya Akademi has been championing the cause of Dalit writing for a long time. Some of the prominent Dalit writers from across India who received Akademi awards are: Devanura Mahadeva, Laxman Gaikwad, Joseph Macwan, Namdeo Kamble, Laxman Mane and Joe D’Cruz. The Akademi has also been actively publishing Dalit Ekankia, Dalit Kavita and Dalit stories in addition to the award books into other Indian languages. The number of Dalit writers participating and benefiting from Sahitya Akademi’s programmes, schemes and projects are increasing , especially in specialized platforms like Yuva Sahiti, Asmita and Nari Chetna. The outstanding balance of 10.79% Government Stock, 2015 and 11.50% Government Stock 2015 are repayable at par on May 19, 2015 and May 21, 2015 respectively. No interest will accrue there on from the said dates. In the event of a holiday being declared on May 19, 2015 and May 21, 2015 by any State Government under the Negotiable Instruments Act, 1881, the Loan/s will be repaid by the paying offices in that State on the previous working day. price based auction. The auctions will be conducted using multiple price method. The auctions will be conducted by the Reserve Bank of India (RBI), Mumbai Office, Fort, Mumbai on April 17, 2015 (Friday). 11.30 a.m. and the competitive bids should be submitted between 10.30 a.m. The result of the auctions will be announced on April 17, 2015 and payment by successful bidders will be on April 20, 2015 (Monday). Minister of Finance, Corporate Affairs and I&B, Shri Arun Jaitley has said that the introduction of the Vividh Bharati services from Delhi, on the FM platform had addressed the content and entertainment needs of the audiences residing within the NCR region. The transmission within the minimum radius of 60 kms would enable the people to enjoy high quality rich content programs with utmost clarity transmitted by the given platform. Technological advancement and availability on FM Mode would make Vividh Bharati and other channels of AIR available on mobile phones, car stereos and internet. This initiative would also mainstream the platform with audiences proactively offering them different program segments and keeping pace with contemporary themes on the entertainment segment. Shri Jaitley stated this while inaugurating the Vividh Bharati FM service at the AIR, New Broadcasting House here today. MoS I&B Col. Rajyavardhan Rathore, Secretary I&B Shri Bimal Julka and CEO, Prasar Bharati Shri Jawhar Sircar, DG, AIR Shri Fayyaz Sheheryar were also present on the occasion. Reiterating the historical role played by Vividh Bharati channel in the broadcast of entertainment programs, Shri Jaitley said that the different programs had left a deep imprint on the minds of the listeners since it began in 1957. While the programming had witnessed qualitative improvement, the extension of this platform from New Delhi on the FM stream would further enhance the quality of transmission and sound reception. Vividh Bharati as a platform had created landmarks which remain predominant in the minds of the listeners. Shri Jaitley recalled some of the prominent programs that had been successfully broadcast since the last several decades. The Minister mentioned ‘Bhule Bisre Geet, Hawa Mahal, Jaimala for the Army personnel, Sangeet Sarita and Youth Express.’ All these programs addressed the varied audiences’ needs successfully across the country. The audience of Vividh Bharati Service in Delhi was hithertofore being beamed through MW only. Now the signal shall be available through Frequency Modulation (FM), which has stereophonic sound quality and has the inbuilt feature of becoming available on mobile phones and car stereos. A dedicated 10 KW transmitter has been installed for the VB Service Delhi and it will cover a minimum radius of 60 kms. Vividh Bharati on FM will be available in Delhi on 100.1 MHz. This is in addition to its availability on MW 1368 kHz. Two other existing FM services of AIR are FM Gold(106.4MHz) and FM Rainbow(102.6 MHz). AIR also has its Local Radio Station Network in Frequency Modulation.Vividh Bharati is considered to be the most popular channel of All India Radio across the nation. While its services were available across most parts of the country on FM mode, in the 4 metros (with the highest population densities) it was being transmitted only on Medium Wave till recently. The second Tripartite Consultation Meeting on the draft Labour Code on Wages was organized here today by the Ministry of Labour & Employment.Shri Bandaru Dattatreya,the Minister of State (Independent Charge) for Labour & Employment presided over the Meeting. The meeting was attended by the representatives from Central Trade Unions, Employers’ Associations, Labour Department of State Governments and Central Ministries/Departments. Ministry of Labour & Employment has proposed to come out with a Labour Code on Wages by amalgamating the relevant provisions of the Minimum Wages Act 1948, The Payment of Wages Act 1936, The Payment of Bonus Act 1965, and The Equal Remuneration Act 1976. The Minister briefed the participants about the proposed Labour Code on Wages and invited suggestions from participants on this important initiative of the Government. Representatives of the Central Trade Unions, Employers’ Associations and State Governments provided their valuable suggestions for incorporation in the Labour Code. At the conclusionof the Meeting the Minister thanked the participants for their valuable inputs and assured that their views will be considered while finalizing the draft Labour Code on Wages. The Minister for Law and Justice Shri D.V. Sadananda Gowda, has called upon the Global community to accelerate efforts for an expeditious conclusion of a Comprehensive Convention on International Terrorism (CCIT). Addressing the 13th UN Congress on Crime Prevention and Criminal Justice (UNCCPCJ) being held in Doha, last evening, he said India had presented a draft Comprehensive Convention for the purpose at the United Nations as far back as in 1996 and has been constructively engaged with the international community for its finalization. He said terrorism has emerged as the most serious scourge of our times and the international community must have a policy of zero tolerance towards terrorism and towards all those who aid and abet terrorist acts and provide safe havens to their perpetrators. The Minister said Money laundering and terrorism financing are also matters of global concern. He said with the increased globalization and emergence of new technologies, crime prevention and criminal justice have acquired transnational dimensions, necessitating greater cooperation among nations. The minister also said that time has come to prosecute perpetrators of any form of cyber crime in a timely and effective manner with a view to make the cyber space secure for benefiting the people in terms of improved service delivery, crime prevention and detection and ease of doing business. Shri Gowda hoped that deliberations at this Conference would help in working out effective strategies to firmly deal with terrorism and other transnational threats and crimes, in all their forms and manifestations, which are challenging our societies. The minister pointed out that such a hope is consistent with India’s civilizational ethos of ‘Vasudaiva Kutumbakam’ – that the whole world is one family, and ‘Sarve Sukhinah Bhavantu’ – everyone should attain happiness and prosperity. Shri Sadananda Gowda, is leading a eight member Indian delegation to the UN Congress. The 13th UNCCPCJ was inaugurated by the Emir of Qatar His Highness Sheikh Tamim bin Hamad Al Thani, at the Qatar National Convention Centre (QNCC) on Sunday. Nation pays homage to Dr. Bhimrao Ambedkar on his 124th birth anniversary. President, Shri Pranabh Mukherji offered floral tributes at the statue of Baba Saheb at Parliament House Lawns. The President, Shri Pranabh Mukherji led the nation in paying homage to Bharat Ratna Baba Saheb, Dr. B.R. Ambedkar on his 124th Birth anniversary here today. Shri Pranbh Mukherji offered floral tributes at the statue of Baba Saheb at Parliament House Lawns in the Parliament House complex in the morning. The Vice President, Sh. M. Hamid Ansari, leaders of various political parties and Shri Thaawar Chand Ghelot, Minister for Social Justice & Empowerment offered tributes to Dr. Ambedkar. Ministers of State for Social Justice & Empowerment, Shri Krishan Pal Gurjar and Shri Vijay Sampla were also present on the occasion and offered tributes Dr. Ambedkar . Thousands of people visited the Parliament House Complex since morning to pay tributes to the messiah of the marginalised and downtrodden sections of society amidst chanting of slogan ‘Baba Saheb Amar Rahe’, ‘Jai Bheem’ and ‘Jai Bharat’. The function organized by Dr. Ambedkar Foundation, Ministry of Social Justice & Empowerment began with a prayer by Buddhist monks. Ministry of Water Resources, River Development & Ganga Rejuvenation has constituted a ‘Task Force’ on Interlinking of Rivers comprising experts and senior officials to look into the issues relating to Interlinking of Rivers (ILR) in the country.The Task Force would be chaired by Shri. BN Navalawala. The expert members of the Task Force would be Shri. Sriram Vedire, Adviser in the Ministry of Water Resources, River Development and Ganga Rejuvenation, Shri. Prodipto Ghosh, Former Secretary, Ministry of Environment and Forests, Shri.AD Mohile, Former Chairman, Central Water Commission (CWC), Shri M Gopalakrishnan, Former Member, Central Water Commission and Shri Virag Gupta, Advocate. Additional Secretary of the Ministry of Water Resources, Chairman, Central water Commission, Director General, National Water Development Agency and Joint Secretary (Finance), in the Ministry of Water Resources will be the other members of the Task Force. The Task Force will take up all issues for expediting the work on interlinking of rivers in the Country. Apart from examining the existing links that are laid out as per the National Perspective Plan under both Himalayan and Peninsular components, the task force would also consider alternative plans in place of infeasible links in the present plan. The Task Force would facilitate interlinking of intra-state and intra-basin Rivers also along with that of inter-state and inter-basin links. The Task Force would recommend the time schedules for completion of feasibility studies and DPR’s of all the links, implementation schedule of all the links and also suggest on various means of funding mechanisms for the Interlinking of Rivers. The Task Force would also provide guidance on norms of appraisal of individual projects in respect of economic viability, socio-economic, environmental impacts and preparation of resettlement plans. It would also device suitable mechanisms for bringing about speedy consensus amongst the states and also propose suitable organizational structure for implementing the Interlinking of Rivers. The Task Force would also try to forge a consensus amongst the states in order to take forward the speedy implementation of the Interlinking of Rivers Program.